At least 5,000 Peruvians angry over President Pedro Pablo Kuczynski's pardon for authoritarian leader Alberto Fujimori marched in Lima in the biggest protests yet since the measure was announced on Christmas Eve. Fujimori apologised to the Peruvians he said he had "disappointed." 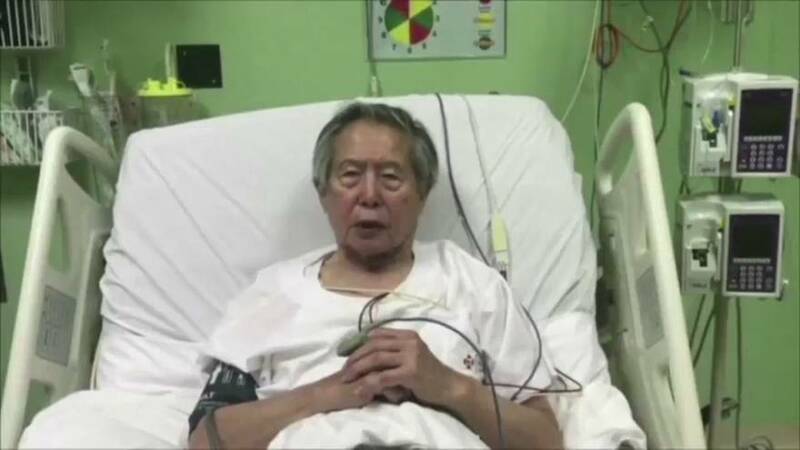 Speaking from a hospital bed in a video message, he thanked Kuczynski for the pardon and promised to support the president's call for national reconciliation. Medical grounds were cited as the reason for the pardon for the 79-year-old, which will lead to the erasing of his convictions for corruption and human rights abuses less than halfway into a 25-year prison sentence and shielding the former president from a pending trial. Protesters and police clashed in Lima with people saying the move amounted to treason as it came just three days after Fujimori's loyalists in Congress unexpectedly saved Kuczynski from a motion to oust him.